Hunt Comfortably: Layering is key! As September rolls in and hunting seasons around the country get started, we are also faced with changing weather that comes along with fall. Here in Montana, it was 50 degrees a couple days ago and 78 degrees today. This fall weather means there will be rather drastic temperature swings throughout the day. In any given day, a hunter could see a temperature swing of 30 or 40 degrees from the morning to the afternoon to the evening. This can always be tricky to dress for and be able to adjust to the swinging temperatures. With today's specialized lines of clothing, it is much easier to hunt comfortably during the drastic changes in temperatures. Sitka Gear has really done a great job at creating clothing that is meant to be layered, and each piece has a specific roll in the layering design. The systems start with base layers and end in the outer layer, with multiple layers in between. How many layers a hunter wears, depends on the weather at the beginning of the day and what the forecast is for the day. 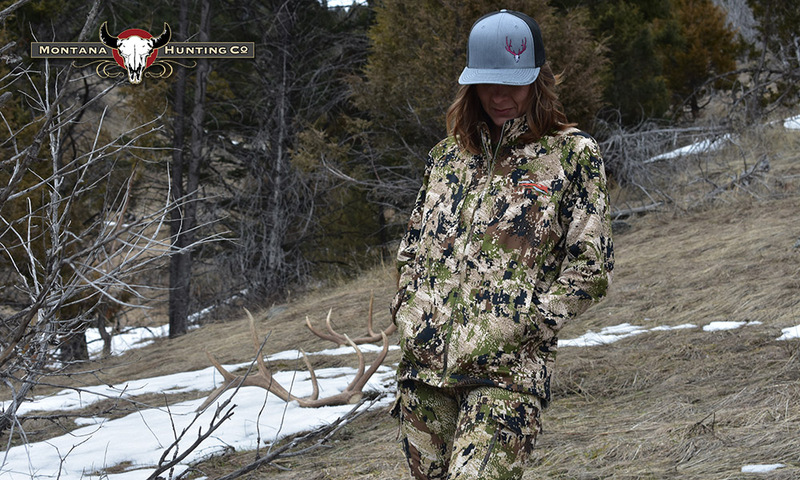 The beauty of utilizing the layering system, is the ability to shed layers as the hunter warms up and then put them back on as the hunter begins to cool down. With the materials used in todays hunting clothing, each layer is relatively light and easily packable. So the bulk is also removed and so less rooms is taken up in the pack. Another key to the layering system, is the clothings ability to wick moisture away from the body. It is commonly known that wet clothes against the skin, is a sure way to making the body lose heat. Cotton base layers are a poor choice for the first layer of clothing, as it absorbs perspiration and immediately begins to pull heat from the body. Sitka has done an outstanding job of designing there clothing to pull the moisture away from the body and through the layers. Having the layers that stay dry and keep the moisture off the hunters body, is key to the layering system actually performing as it was advertised. 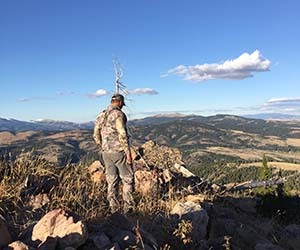 Montana Hunting Company guides use the Sitka layering systems in all kinds of weather situations. Our staff can attest to the benefits of a good layering system that is light, yet warm, and keeps a hunter comfortable in the field. MHC is here to help you out with selecting the correct pieces of Sitka gear to make your next hunt comfortable, without a bunch of bulk. As a Sitka Dealer, MHC can help you get set up with some essential layers to get you on your way to having clothing that will last for many hunts and truly become part of your gear list for all of your hunts. If you have questions or would like to purchase anything that Sitka has to offer, please call us at (406) 585-9051 or EMAIL us. We would be happy to discuss Sitka Gear and answer any questions you may have about different layering and what items would work best for you on your next hunt.